In early 2015, participants at the World Economic Forum, a who’s who of the political and business elite, ranked water crises as the top global risk. Water was also a key factor in the adoption by the United Nations General Assembly of the Sustainable Development Goals (SDGs), a blueprint for international development over the next 15 years. Ensuring safe drinking water and sanitation for all by 2030 is one of six water goals for the SDGs. In December at the UN climate change conference in Paris, world leaders acknowledged the instrumental role that water will play in a warming planet. Water security was included in the response plans of most nations and was at the core of numerous debates and side agreements. The year 2015 saw more than its fair share of extreme hydrologic events, both ruinous floods and severe drought. 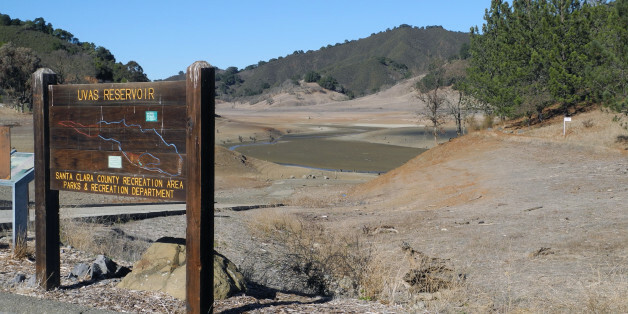 In the United States, attention remained focused on California, which is suffering the worst four-year drought on record. 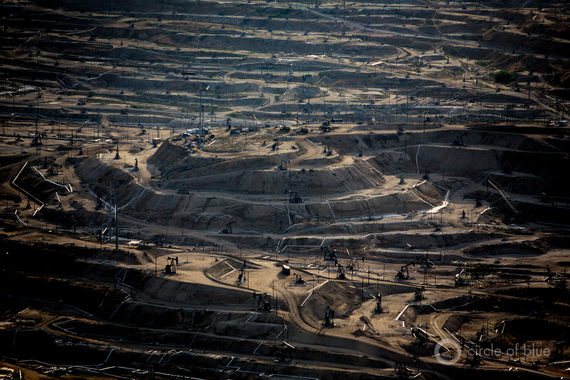 The state’s soils are dry, reservoirs depleted and groundwater grossly overdrawn. The drought led to important regional conversations about improving water management and distribution, as well as new science exploring the links between drought and the growing influence of climate changes. Intense droughts also struck other regions hard: São Paulo, Brazil, the largest city in the Western Hemisphere, experienced daily water cutoffs for millions of residents. And a severe drought in South Africa that began in 2015 and has continued into 2016 is forcing utilities to order water restrictions for Johannesburg and other major cities. Following the urban water-quality disasters in 2014 of toxic algae in Toledo, Ohio, and coal chemical contamination of the Elk River in Charleston, West Virginia, another major catastrophe occurred last year. In Flint, Michigan, a combination of a change in water source chemistry, inadequate water-quality testing and reporting, and an outrageous failure of management and governance resulted in dangerous lead contamination in some drinking water. This story, which began in 2014, unfolded in 2015, and will continue in 2016, highlights the need for far more investment in maintaining and upgrading urban water infrastructure, vastly improved political oversight and accountability, and an acknowledgement of the unaddressed environmental justice issues facing poor and disadvantaged communities. We note these kind problems are all too prevalent in many parts of the developing world, but receive extra media attention when they occur unexpectedly in richer nations. Thanks to several high-profile scientific assessments, the California drought, and growing public attention, unsustainable use of groundwater supplies became an international story. Satellite data showed that a majority of the world’s largest aquifers are declining, and isotope dating revealed that a small fraction of the world’s groundwater is being used in a renewable way. Coastal regions are battling to keep the ocean from seeping into freshwater aquifers that are used by cities and farms. 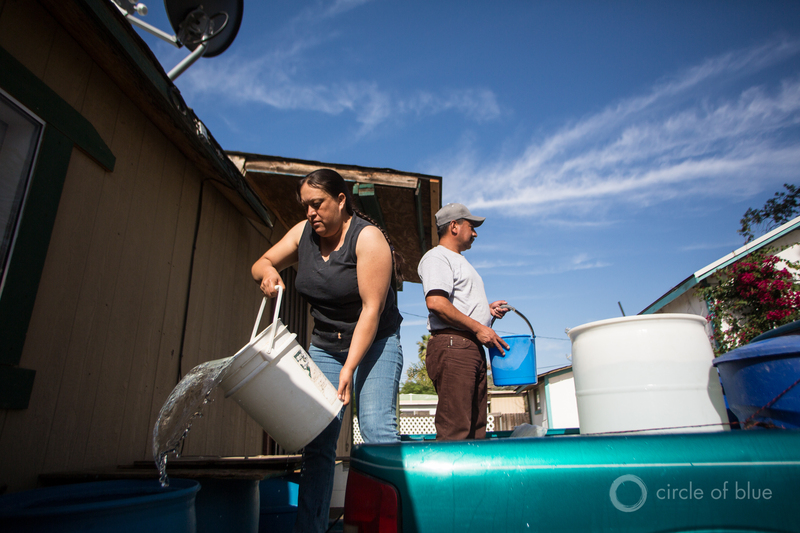 In California’s Central Valley, a farming powerhouse, some land is collapsing and a growing number of private and municipal wells are going dry as more groundwater is pumped and groundwater levels drop. The official text of the Vatican’s 2015 Encyclical Letter, Laudato Si’ (“On Care for our Common Home”) addressed many environmental challenges, including climate change, biodiversity, food, and the critical issue of freshwater. Woven throughout the Encyclical is attention to the social and equity dimensions of water, coupled with a deep concern for the poor. The water sections focus on the disparities in access, quality, and use of water between the wealthier, industrialized parts of the world and poorer populations. The Encyclical notes that the use of water is often exploitation of the resource, exceeding natural limits while still failing to satisfy the needs of the poorest (section 27). It also addresses the lack of access to clean drinking (section 28), the challenges for food production due to droughts, disparities in water availability and “water poverty” (section 28), the continued prevalence of water-related diseases afflicting the poor (section 29), contamination of groundwater (section 29), and the trend toward privatization and commodification of a resource the Vatican describes as an “basic and universal human right” (section 30). Space agencies around the world continued in 2015 to find evidence of water in almost every form in almost every kind of celestial body. NASA’s Mars Reconnaissance Orbiter (MRO) provided the strongest evidence yet for liquid water flows on present-day Mars. The European Space Agency’s Rosetta mission to comet 67P Churyumov-Gerasimenko confirmed water ice on the comet’s surface. The Cassini spacecraft has confirmed that Tethys, a mid-sized moon of Saturn is probably all water ice, while it also captured incredible photos of Saturn’s moon Enceladus where water blasts through cracks in surface ice. On October 28, Cassini flew about 48 kilometers over Enceladus’ south pole and took samples of this saline water. Other missions also returned positive findings: The New Horizons spacecraft detected numerous regions of water ice on Pluto. And outside – sometimes far outside – our own region of space, ice is prevalent as well. In April 2015, an international team of astronomers reported the successful identification of water molecules in the remote galaxy NGC 4258, 24 million light years from Earth. The long history of water-related conflicts continued in 2015. That history, chronicled and detailed at the Water Conflict Chronology, grew with several dozen more examples. By far the largest number of new cases occurred in the Middle East, where ongoing violence, civil war, and regional tensions put water in the cross hairs. There were numerous attacks on dams and other water infrastructure in the Tigris-Euphrates watershed. There was violence over access to water in Somalia and Nigeria, and attacks on water systems in Colombia and Ukraine. We anticipate the growing risks of violence over water access, attacks on water infrastructure, and both sub-national and international water tensions will continue to be a concern. The realization that water and energy issues are often tightly linked has been dubbed the water-energy nexus. In 2015, these links drew the attention of policymakers and national leaders. China, facing serious water quality and availability challenges as well as energy and climate concerns, announced it would reduce water-wasting coal mining and the use of coal in electricity generation. India, too, is shifting to water-conserving wind and solar power. Mexico prohibited new groundwater supply permits for shale oil and gas development in the northern desert state of Coahuila. Researchers in California published major new studies on risks to surface and groundwater from oil and gas production and on risks and opportunities for agricultural users of wastewater. The state also shut down injection wells for dumping oilfield waste into groundwater. New evidence of the risks of earthquakes associated with oilfield reinjection of wastewater in Oklahomaalso came to light and renewed debates about disposal policies.